​Among the rich media on the Internet today, video is the richest form, hands down. It's got motion, sound and the best potential to create an emotional connection through humor, realism and storytelling. However, not all video is created equally. Metrics measuring video use on social media make it clear that certain types of video work better in certain media. And therein lies an opportunity to create noise in your marketing. This new metrics-driven era of video marketing requires an understanding of video composition in order to avoid inviting noise into your marketing. If all video is not created equally, your one practice-defining, value-building magnum opus of a video that cost you a fortune to make is not going to work everywhere you post it. Here are a few common places you might use video in your marketing: on your website, on your YouTube channel, on your Facebook page, on your Instagram page or in online ads. Each of these media requires a specific style of video for an effective strategy. When someone uses a specific medium, they are in a mode congruent with that medium. You need to account for this when devising your video strategy. Otherwise, you're not considering how receptive the audience will be to how you are presenting your message. This is why video conversations at Dog Star Media begin with strategy. What do you want to accomplish with this video? Do you want to build reputation? Do you want to build trust in an audience? Do you want third-party validation or testimonials to strengthen reputation? Do you want to create value for your services? Each of these goals will lead you to strategies, and those strategies will lead you to different media and services. When you know the medium and the goal, you are ready to shoot video. As an example, if you decide to make a three-minute services overview, it's important to know where that will work. First off, you are asking someone to watch three minutes of video, so they have to be in the right mode. Where do people invest several minutes with your marketing materials online? Well, your website is one place. YouTube is another place where you expect to watch or listen for minutes if the content is interesting. These are two places where it makes sense to post and promote such videos. Facebook, Instagram and other media give us exposure to new audiences, and those users are in a different mode. Generally on social media, if your video does not hook the viewer in the first five seconds, users tend to opt out at a high rate. How do we know this? The social media sites give us user experience statistics that detail how long people watch videos. This goes for posts, boosts and ads. So, if you are trying to strengthen a social media campaign with video, that video needs to be designed to hook people in the first five seconds. Your three-minute end-all/be-all practice video is not going to move the needle here like it does on your website. Videos for social media need to be built like ads if you want to get the best engagement. The video content is an important function of strategy as well. To build a trust reputation with a prospective patient, it is often best to use footage of the doctor. Studio interview videos are useful for building online reputation. Even short, watchable videos featuring the doctor allow users to experience the doctor's personality. It's a way to take one of the strengths of a practice and broadcast it through video. This content works in reputation-building videos, but not necessarily in video ads. Video is the richest, most effective medium for communications. 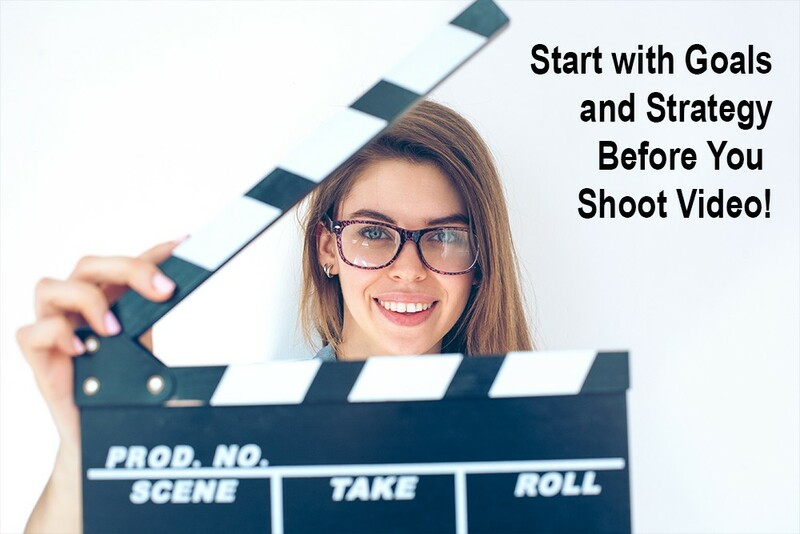 However, you must start with goals and strategy first before ordering up an expensive video shoot. Video length, content and tone must all be customized to the media used for a strategy. One type of video does not fit all media or strategies. To think it does just because it's video leads to noise and expensive mistakes. Dog Star Media can help. If you are ready to discuss your goals and how video can improve your strategies to reach those goals, please contact me at donald@dogstarmedia.com.